Stay safe when you choose to date online! This week BBC Panorama set out to catfish victim in the US, it’s a painful watch and one to be aware of. Catfish are people who pose on dating sites as real profiles looking for love, they are not. They are people who prey on vulnerable individuals and take as much of their money as soon as possible without often meeting! They will come up with stories such as the ‘sick son’ or the ‘investment’ as shown on the BBC and sadly people who are lonely and vulnerable will often hand over their hard- earned cash only to be left bankrupt and alone. Today I want to share with you some simple tips that will keep you safe and protected from anyone who may be even a bit dodgy! It involves taking a step back and listening with your intuition and looking at the facts rather than what you want to see. 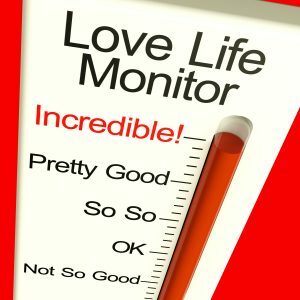 The following steps apply to anyone who is already or is thinking about online dating, meeting through dating apps, face book and any other social media forum. Follow my safely guide and stay safe when looking for love. Get the full name of the person you are speaking to, google them and try to find them on linked in or face book to see if you have any friends in common and that they have a legitimate profile. Find out who they work for and check that this matches up on their linked in profile. Ask them about their living situation, who they live with, if they are divorced, or have been married? Avoid getting into a pen pal situation, arrange to speak on the phone as soon as possible, speak for a maximum of half an hour and see if you like the sound of their voice, are you connecting well? Within a week of speaking you should be meeting up, otherwise they are not fully available/single, not interested in you for a proper relationship, or not genuine. If you are meeting up choose a PUBLIC location not too far from your home, don’t invite them over to you on a first meeting or give them your address. Tell a friend or family member where you are going to be. See how the date flows and if you feel they are genuine and a potential relationship material, follow your gut! For all your dating and relationship advice please see my coaching packages and I look forward to hearing your successes.